Let’s do an exercise today where we look back at what we spent this week and see how we feel about it all… It’s good to do a surprise check-in every now and then! Money I hated spending this week: $280 for exhaust work on my wife’s car, ugh… Although I’ll gladly take $280 every now and then vs $280 every month as car payments! It would have been a double sting! Money I spent towards my goals/dreams: $28’ish on fruit! For my attempt at getting my kids and I to eat more of it every day instead of snacking all the time! 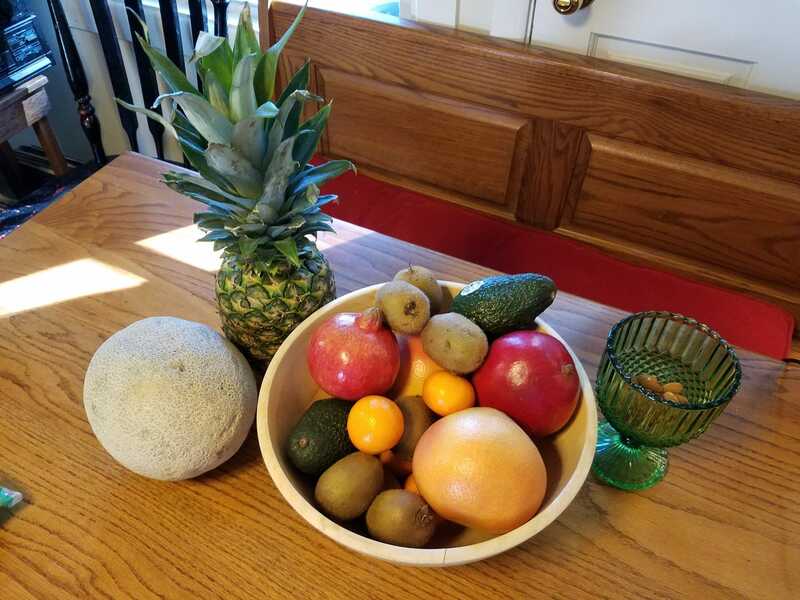 Last week we tried mandarins, kiwis, grapefruit, avocados, cantaloupe, mango, pomegranate, and almonds (not a fruit, but still good for you! 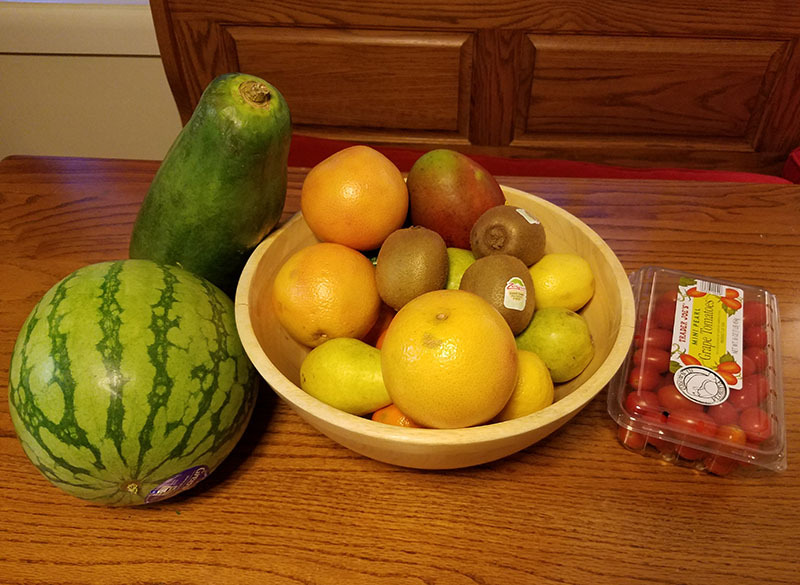 ), and this week we tried a papaya, baby watermelon, lemons, grape tomatoes, and then more of the previous items we enjoyed more than the others. So that was my week! A bunch of bigger unexpected costs, but at least mixed in with some fun smaller ones! It just so happens that my husband and I spent most of the week in Prague. We booked most of it with Expedia and paid for all the advance stuff using $5 bills we stash vs. spend. :) We also bought some local currency ahead of time to bring along. The whole trip for two was about $2,500 and included flights, the nicest hotel we’ve ever stayed at, airport/hotel transfers, 2 day trips, a walking tour, museum entry, several great meals, a Czech beer spa, a bunch of random tipping, snacks, postcards & stamps, a few small but meaningful souvenirs and way more beer than we needed. It was literally cheaper than water! Money I loved spending this week: the tasty, tasty Czech food. Money I was surprised to spend this week: public toilet fees. Money I knew I’d spend this week and am okay with: all of it. We only used our credit card twice, for meals that needed to be paid in euros, which we hadn’t bothered to get. Prague was fantastic and the fact that it was relatively inexpensive was icing on the cake. Nice! I went to Prague in 2014! Loved it! Paid with your $5 bills you saved vs. spent – I love that idea! Way to go! Too funny this came up just now. Way to use money to advance your happiness! •	Money I loved spending this week: £7.20 on two overpriced but delicious coffees in a hipster cafe. I took a friend as a treat and the lovely waiter took a shine to us and sent over two delicious slices of cake to trail the chef’s latest recipe. It was delicious! •	Money I was surprised to spend this week: £98 for a great blazer that was a billion % off. I normally don’t allow myself to get sucked into the sales but this item of clothing is beautiful and I plan to get years of use out of it. I didn’t know YNAB works over there??? Our fintech companies rarely do outside the U.S. – that’s awesome!! It works EVERYWHERE! 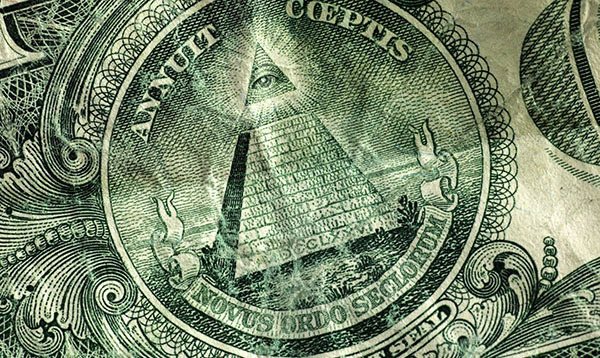 The have the option to use it in every single currency in the world. It doesn’t connect with bank accounts but that’s fine with me. I prefer to input my spending (it takes 5 seconds) so I’m aware of every penny that goes in and out. –Money I loved spending: $47 for wood cutting board for my parents for Christmas. It has one of their mom’s recipes laser engraved on either side. I’ve been wanting to get one of these for them for years. –Money I hated spending: $289 on full-price clothes. StitchFix. Sigh. But I needed sweaters and they were such good quality and fit so well….I haven’t gotten new clothes in at least 6 months, though. Thrift shops, baby! I also spent more on convenience food this week because I was running somewhere every day after work. Some weeks are like that. –Money I was surprised to spend: I found a used copy of Operation Deepfreeze on Amazon for $25. It’s in nearly new condition so this is a great price. This is another Christmas gift for my dad. It is about the Navy’s time in Antarctica in the late 50’s written by the admiral in charge. My dad was there ’58-59. –Money I knew I’d spend and was OK with: $49 oil change and a $38 space heater. –Money I spent towards my goals/dreams: Other than the automatic savings sweeps I have set up, I’m putting $500 into Fundrise when I get home from work tonight, to try it out. Also ordering some needed supplies for my jewelry side hustle, which I will eventually put up for sale on my Facebook shop. I currently have most of my finished stuff in a small shop nearby. I WANT TO SEE YOUR JEWELRY!!! Do you make guy’s stuff too, or no? I do make guy’s stuff! It’s funny, I didn’t until my first shop display 3 years ago when the shop owner said that was one thing people came in asking for that they didn’t have. So I immediately went home and made some guy stuff. Supply/demand, baby. Money I loved spending this week: $4 & $24: The $4 was two cheap Wednesday matinee movie tickets to see “First Man” (the Apollo moon landing movie about Neil Armstrong). The movie was pretty good, but a little more depressing than I expected. Going going to mid-week matinees is one of our favorite things now that we are early retired. The $24 was four pints from our favorite local micro brewery. We had a couple of free ones on their “Buy a beer for a friend” chalkboard, so we got a two pint discount, and we gave the difference to the bartender. We had a great time, so we love spending money on great experiences! Money I hated spending this week: $132: Lol, like you… We had a car expense. We had a vibration in our tires, so had our local garage take a look at it…one movie (above) later: tire rotation, two air filter changes, oil and filter change. Reasonable and within our normal auto maintenance budget! Money I was surprised to spend this week! $0: It was a good week! No surprises! Money I knew I’d spend this week and am okay with: $385: Chistmas gifts for five family members. We got really nice gifts at reasonable prices, so very happy with the purchases. We were actually about $40 under budget, but have several more to still purchase. Money I spent towards my goals/dreams: $157 & $760: Yes, two bigger purchases! The $157 was actually classified as a Christmas gift for me. We bought a new 300lbs. Olympic bar and weight set for our new basement gym (which was last year’s present for both of us!). The $760 was two cross country plane tickets to Seattle, WA to go see our oldest child for three weeks for the holidays. We are traveling more these days, so all expenses are budgeted and now happily paid for! Spent a fair amount of money this week, but all budgeted! Money I loved spending this week: $80 extra for my nanny to stay longer than usual so I could go see my friend’s art show. She just started design school and this was her first show and I was so happy to support her. Bonus: she won an award! yay! Money I hated spending this week: $492 for my electric bill! You guys, I live in a 2,000 ranch. My electric bill is insane and I was freezing last night so my heat doesn’t even work! One of my biggest priorities in 2019 is to lower that bill!!! Arrggghh! Money I was surprised to spend this week! $149 renewal for an online meal prep subscription. Fear not! I already contacted them and am working through getting a refund b/c I barely used the program last year. Gotta watch those subscriptions, they can really kill a budget! A week of crisis and reactivity on the home front. Money I spent towards my goals/dreams: $0.00 (it was a week of reacting, but I did get to work out 5 days so far this week. –Money I loved spending: $13 on a spur the moment run to the grocery store to cook up a nice meal at home. I think it was a giant chicken cutlet wedge (or sub, hoagie, hero, grinder depending on where you’re from). –Money I hated spending: $588 for six months’ worth to car insurance. I would have put it in the “Money I knew I’d spend and was OK with” since I knew it was coming for over a few months, but I am never OK with it haha! –Money I was surprised to spend: Speaking about said car, $49 to replace the heat shield under the exhaust pipe. This one was a bit scary as we were traveling back from my in-laws with my one month old son for the first time, and started to hear a weird sound under the car. Luckily it was an easy fix, and everyone is safe and sound. –Money I knew I’d spend and was OK with: $160 #diapersfordays haha! Love – I got a Fire HD 10 tablet. It’s pretty awesome for $100. Surprise and okay with – Amazon had the Pandemic board game for sale. $20. It’ll be our Christmas present. Toward goal – I picked up a few shares of Apple, Smucker’s, and UPS this week! Mmmm… dividend. $634.94, after tax, on a Pixel 3. I’ll LOVE having a phone that isn’t four years old and starting to flake out; I HATED spending such a huge sum on a silly item, but after I posted about it on Facebook my dad decided that would make a good Christmas gift and dropped $600 into my checking account to cover it; I KNEW I’d switch from Verizon to Fi sooner or later and I’m OK with saving hundreds each year; and thanks to a SURPRISE Black Friday deal it was $200 off, in addition to a $200 service credit, so my next six months of cell coverage is in the bank. Bonus: they will accept my wife’s iPhone SE on the network now, so if it works well for me I can get her away from Verizon and our monthly bill drops from $90 to $55. Money I spent towards my goals/dreams: I have spent literally zero other money this week, so I guess switching to Fi is helping me out with a lower cell phone bill in the future…? Sure, let’s go with that! Normally I’d say my 401k contribution that would’ve hit on Wednesday, but I already maxed it out two weeks ago for 2018. So maybe I’ll take a page from Danny right above me and drop that $600 dad reimbursed me into VTSAX to keep myself honest. Thanks for the idea! No problem Adam! You actually reminded me that I should get a new phone at some point. It’s four years old and is starting to peace out as well. Making the switch from Verizon to RW a few years ago has been one of the better financial decisions we’ve made. Hoping the same for you with Fi, and thanks for the idea too! 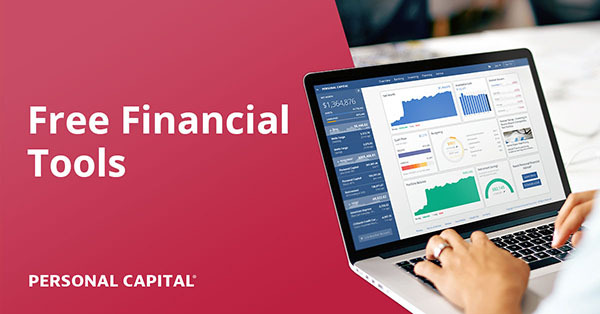 Yes – please let us know what you think of Fi! Still very happy with Republic Wireless here too, but always gotta keep your eyes open, right? ;) And congrats on your 401k maxing too! You guys are good today!! Money I loved spending this week: Dinner with my sister for her birthday. Money I hated spending this week: Charter bill – because the service has been acting up! Money I was surprised to spend this week! : Nothing, but I was surprised NOT to spend money on a new camera body. I thought my old body was finally going, but found a fix. Money I spent towards my goals/dreams: Nothing, but next paycheck I will bank a lot toward my retirement fund, especially since I don’t need to buy a new camera body after all (photography is part of my living so if I did need to, the new camera would be on the way already; I will probably still save up for the upgrade anyway, however). Love: $350 – Nice new desktop computer for my dad. He takes care of our kid, saves us TONS of $$$ instead of daycare! Hate: $39 – Cat food. Animals are so expensive! Love them to death though..
Knew/Ok with: $50 – Christmas tree! P.s. – love the fruit/healthy snacking idea.. everyone should focus more on their health. No point in having enough money to live forever if you’re not healthy enough to fully enjoy the time! Thanks man! Been a handful of years/decades in the making, but we’re on a roll now ;) Sometimes you just don’t care until you care, right? Not unlike personal finances! •	Money I spent towards my goals/dreams: $778 on laminate and supplies to remodel a room that desperately needed new flooring. I wouldn’t have spent the money to do this while I’m in debt reduction mode, but it was a crazy good Black Friday deal. I also bought enough to replace the carpet in my living room, but I’m on the fence about putting laminate in our main living area so I might return it. Well that’s why they’re called “surprises” haha… No way you can account for everything! Nice job on the fruit! Hated/Surprised: I am lumping this into one: (I know I am a cheater! ): $347 on fixing a temperature gauge on my car since my check engine light came on. Money I knew I’d spend: $114.50 on ski gift cards that were ordered at buy one get one 1/2 off. A local ski resort releases them every year. Good job on the DNA kit!! I wonder what y’all will find out???! Money I hated spending this week: about $300 to student loans, which is way above the minimum. I want those payments gone! Pets get so expensive some times!!! And always when you’re not expecting it! Money I hated spending; $250 to repair my sink breaking away from my counter top. I had never even heard of that happening. I had to call the company that installed my granite counter top to do this work. I also need to pay the plumber who came to disconnect the pipes, they are friends and don’t want to charge me, but I will send them something and gladly because they are such kind and generous people and do a lot for the community. Money I enjoyed spending: About $6. I found a pair of very fun red, white and blue, stars and stripes pants at a thrift store and bought them for my friend who runs a non-profit for veterans and always dresses in camo or red,white and blue. She was over the moon in love with them. She is such a big hearted person and always doing kind things for others, not just vets, I felt a lot of joy that she loved the gift. Money I was surprised to spend- (see money I hated spending), I am such a penny pincher that I have had to work on giving myself permission to perform maintenance work on my house/car and not view it as a bad thing. My house is about 13 years old, so things are going to wear out and need to be fixed. I do set aside money every month for property taxes and maintenance, so it didn’t hurt quite so much. Money I knew I’d spend and am ok with: About $12.00. Every Thursday I eat an (in my opinion) mediocre and overpriced breakfast and tip the fabulous waitress who serves at the weekly breakfast meeting of the local civic club of which I am a member. It’s a small price to pay to get the benefit of rubbing shoulders with the local business and civic leaders in my community, and as a widow, they go out of their way to guide me when I need advice on something they can help with. Money towards goals and dreams: not doing so hot here except for the money I regularly set aside from my paycheck. I am a crafter on the side and have made some REALLY nice things that I end up giving away, since I don’t try to market them. But I don’t create to make money, I do it to feed my soul. I am loving your vibe over there :) You are surrounded by so many good hearted people, and I imagine because YOU are so good hearted too! Really enjoyed reading this, thank you! And what do you craft on the side btw? Jewelry? Art? Money I hated spending this week: Buying a new cell phone. Old one is 3 years and I’m tired of dealing with its temperamental nature. Money I was surprised to spend this week! Paid some delivery people to move some stuff to my basement. I usually never tip but I felt like they did it without asking for money, which in turn made me want to give them money. Money I knew I’d spend this week and am okay with: Ummm, food I guess. Money I spent towards my goals/dreams: Paid off a looming credit card to zero. I got plumped to almost 4 K and was making me anxious. It’s funny how that tipping stuff works, right? I tend to hate giving it when it’s expected of me or at least all up in my face, but I always enjoy giving it when it’s not or on my own accord. I just wish my *instinct* was to always want to tip but I’m naturally stingy/frugal! Money I loved spending this week: $480 combined with friends for the lovely people here: http://okini.net/ I bargain hunted all week long. Money I hated spending this week: $480 on dogsitting for next year and that’s after I spent it all last week! ($13,000 on ductwork and heating). I appreciate what we get but it was SO MUCH MONEY. Money I was surprised to spend this week! Nothing? Maybe $30 on sweaters that may or may not fit, we’ll see. Money I knew I’d spend this week and am okay with: just the regular bills. Money I spent towards my goals/dreams: I’m going by your example that includes delicious foods. We have been changing up our diet and it’s making such a huge difference in my chronic pain I don’t even know what to do with myself! This week I did not really spend money on many things. I spent my time working and evenings mostly in meetings so the only thing I spent money on was lunches (no time or energy to make my own) and some groceries. And a kid’s friend’s birthday present, but that was peanuts ($7). So my biggest spending oddly covers four categories. Money I knew I’d spend this week and am okay with: kid’s swim trunks. Junior had a hole in his old too small hand-me-down pair from his brother for months. (We weren’t trying to save money, but first we did not notice and it seems we always get too busy to visit stores and the old ones at least still held together…) I draw the line in thriftiness at holes in garments – being dressed nicely is not that expensive. $15. Opera tickets for next Friday. I’ve been working too much and spending too little time on some other important things. After attending a free concert at church last week (my fav piece, Mozart’s Requiem) and literally crying the entire concert from the first notes to the very end I realized I need more of what I love. I’m spending more time and money on these important things otherwise too – I will buy a Christmas song book for me and the kids to learn easy Christmas song on the piano, we have attended free family concerts and I’ll join some free Christmas singing events with friends and family. For as long as my savings goals are not compromised, I’m not going to worry about occasional splurges. I HOPE THAT OPERA IS AMAZING!! $$ I hated spending: $340 for a prescription I’m fighting with Blue Cross to cover. $$ I knew I’d spend this week & am okay with: $75 Xmas gift card for my best friend to an out of state restaurant she loves & visits twice a year. She only mentioned it once so I know she’ll be shocked to get this. I listen carefully! $$ spent towards goals/dreams: the usual $150 every paycheck to pay down mortgage plus $8800 bonus went into savings (husband needs surgery–medical deductible $7500-OUCH!). Thanx for this fun quiz! I did a write-up on my blog. The worst bit of unexpected spending was the damn overdraft charge. I try to be careful. I have a very limited budget and am on Medicaid. I checked that the money was there before buying yarn for my blanket project, but something ended up going through at the same time. I ended up with an overdraft charge, and it snowballed. I have very strong opinions about these exorbitant overdraft charges. I think they should be illegal. Banks only make them because they can. They only end up harming the poor and working classes, people who are already struggling anyway. Ugh yeah, they make billions a year off that :( I hope you can get them to clear it though! I find If I call and ask nicely they’ll refund ’em so long as it’s not a recurring thing… In fact, just did that the other week when I realized I was getting dinged monthly charges for not having enough in my checking? I’d never been charged before so wasn’t sure what was going on, but they cleared the last 3 fees and I had to adjust the way I was managing stuff (it was for my business accounts that I admittedly don’t monitor a closely as my personal ones). Money I loved spending this week: I purchased luggage for my 14 year old nephew who’s traveling to Iceland and Sweden this Christmas – first trip abroad. Money I hated spending this week: I hate spending money on gas for my car. I just don’t just the whole industry. Though did most of my Thanksgiving Day dinner shopping at a grocery store that gives points toward gas – this week paid $1.93/gallon. Yeah!!! Money I was surprised to spend this week! No surprises. Money I knew I’d spend this week and am okay with: Planned to spent money for Thanksgiving Dinner – I host family every year. Money I spent towards my goals/dreams: Spent nothing on my goals/dreams. That’s a helluva first trip abroad for your nephew! Will try. Obtw inspired by your quest to try and eat more fruits. My grandsons and I tried a persimmon – they liked it, me not so much. Persimmon – hah! Haven’t tried that one yet! Previous post: Would you live at The Mall for $700/mo?